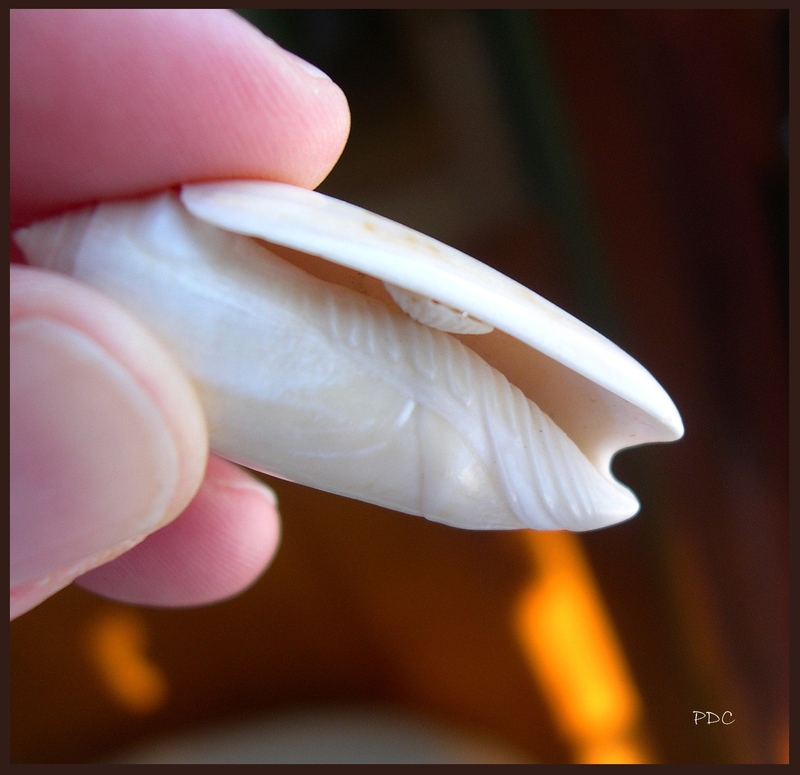 The animal that lives inside the Olive Shell (family Olividae), has a powerful “foot” that helps it burrow down into the sand and hide in order to grab it’s pray as it passes by. They feed on bivalves (mostly shells with 2 halves) and crabs. I took this close up photo to show the distinct ridges at the bottom of the Olive shell. This one is shaped like a Netted Olive or Lettered Olive, but lacks the markings. It’s more of a light gold color, so I’m not sure what it is. Sorry for the late reply. Your shells sound fantastic. Good luck with finding a collector.